Today’s Photo is of the Pride of Baltimore II as it takes part in the Battle of Lake Erie bicentennial celebration. 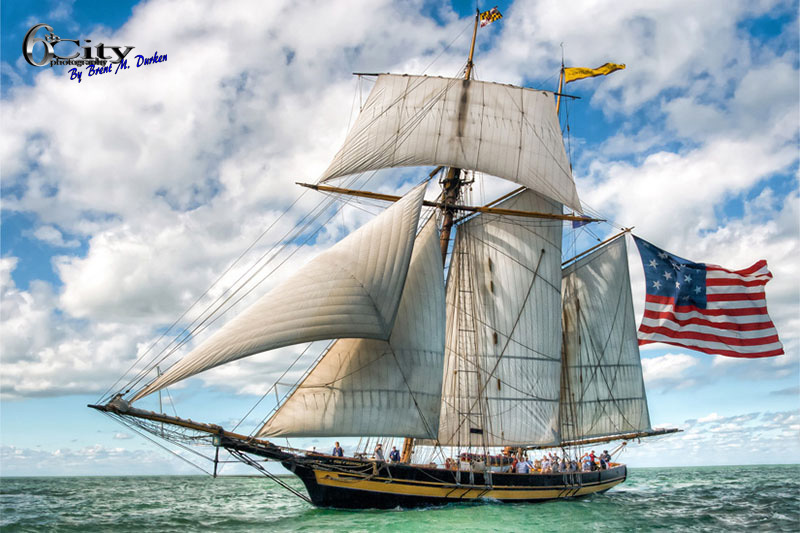 From the bicentennial website: “In September of 1813, during the War of 1812, Oliver Hazard Perry of the U.S. Navy and his crew of 557 brave patriots prevailed over the British fleet in the Battle of Lake Erie near Put-in-Bay, Ohio. Two hundred years later, we will come together to celebrate Perry’s victory, our nation’s sovereignty and the enduring peace between nations”.